If you only have time to watch one thrift haul video this month, make it this one! My favorite season is here: garage sale season. So my secondhand shopping has been off the charts this month. Add that to the fact that I went on a vacation this month (more thrifting!) and you get whatever my latest thrift haul video is. Prepare yourself for A LOT of stuff! I wasn’t kidding about all the stuff! You may have noticed in the video that I didn’t thrift a lot of clothes. Because of that, I’m going to make them more of a priority next month. 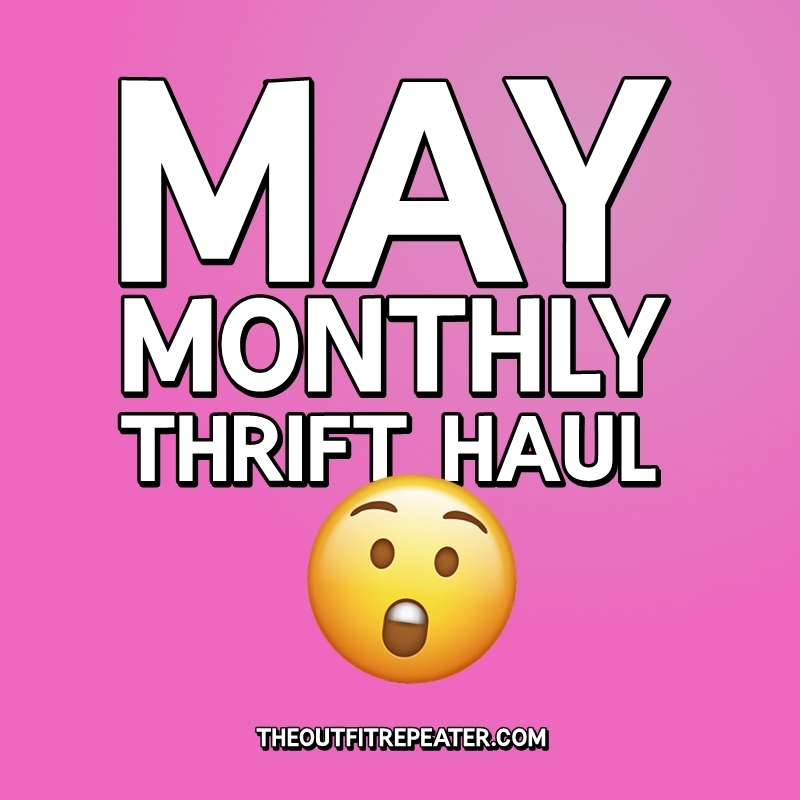 This is what I’m hoping to thrift in June! Dark wash cropped denim jacket. I would love to replace my current denim jacket for something more substantial and one that doesn’t have “teen” written on the label. I’m 26, it’s about time. White/neutral sandals. I’ve actually been haunting Poshmark for the perfect pair and have come pretty darn close. I wouldn’t be surprised if you see me sharing that I found these in my next haul!